Three. It’s a magic number. Yes it is…Well, at least according to the 1990’s smash hit from everyone’s favourite hip hop outfit ‘De La Soul’ that is! But let’s hold it there for a moment. How much can we really trust the opinions of ‘De La Soul’?…Just how structurally sound are the foundations of this retro trios statements? And how much R&D did they REALLY conduct? And thankfully, I’m not alone in noticing this worrying trend. You see there’s a exciting new comer to the Leeds bar scene. And here we have a passionate and ambitious team who have seemingly recognised the shortsightedness of ‘De La Soul’ that has gone unquestioned for far too long. Need a reason to visit them? I’ll give you ten! Ladies and gentlemen, allow me to introduce the REAL magic number; ‘Ten Bar’. Located over three floors (ok, I’m kind of disappointed it’s not ten floors, despite the logistical nightmare that would cause), with two bar areas, Ten Bar will offer the highest standards in produce, service and entertainment. The team have seamlessly combined beautiful original features and exposed brick work alongside feature lighting, sumptuous leather seating and modern sleek designs to give the bar a cool, unique & industrial luxe feel. This once bare city centre space has been transformed, and if the buzz associated with the social media teaser trails throughout January is anything to go by – Ten Bar is going to be the place to be! 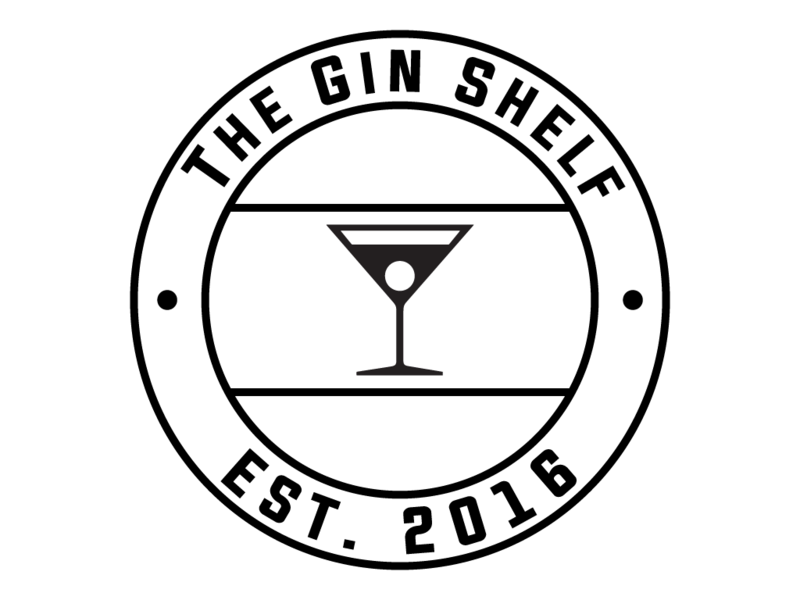 So with our interest well and truly peaked, we spoke exclusively to one of ‘Ten Bars’ partners, Lewis Wildridge, who kindly took ‘Ten’ minutes out of his busy day (see what I did there) to give The Gin Shelf Blog (TGSB) the inside scoop on the newest addition to the glittering Leeds night life. TGSB: So ‘Ten Bar’; What’s it all about? And what ‘vibe’ can people expect to find? Lewis: We are a new cocktail bar in Leeds aiming at bringing really high quality and service, but keeping the atmosphere and vibe relaxed and sociable. TGSB: So ‘Ten’ seems to be the magic number in this case? Whats it all about and what made you take that route? Lewis: Well we knew we wanted to offer a nice strong range of drinks, without having a menu 50 pages long. Then with the fact our address is 10. Duncan street, Ten just felt like the magic number! TGSB: How long has the concept of ‘Ten Bar’ been in the making for? And what’s the vision/aspirations for the future? Lewis: From concept-to build-to launch has been a high speed rollercoaster, with lots of work piled into quite a short time frame… One thing we’ve always believed is putting our entire focus and efforts into getting this right and creating a place that everyone in Leeds can enjoy. So for now, our focus is pointing directly at the present to make sure we get it completely right before we look at the next step forward. TGSB: Why the focus on gin? Has it always been a passion? Lewis: I wouldn’t say the focus is entirely just on gin, our passion is genuinely on making people happy, we find gin is a fantastic way to do that! Whilst Ten Bar will have quite a varied menu, we’re pretty confident our range of gins is going to be very popular!! TGSB: Why was basing yourselves in Leeds important to you? Lewis: All of us involved in Ten Bar have had our whole careers in the nightlife industry of Leeds so there is no place in the world we would rather launch Ten Bar! Leeds is one of the most vibrant, diverse and exciting cities around, and we’re excited to be a part of the attraction to Leeds. TGSB: How many different varieties of gins/brands can people expect to see on the back bar and do you have any that will get people really excited? Lewis: The magic number can answer this one! TEN! I think a lot of gin lovers will be excited at a lot of them to be honest! TGSB: Gin has obviously taken off in a big way, with gin bars & specialists popping up all over the country. What is it that will make ‘Ten Bar’ stand out from the crowd? Lewis: I think with us not JUST targeting gin it means the super gin enthusiasts will be able to come down and enjoy the bar, but also be able to bring their friends who perhaps are more of a vodka or beer person who will equally have a great selection to enjoy. TGSB: What is ‘Ten Bars’ drink of choice’? Lewis: Ohhh, well theres a few of us involved and I’m sure we all have different favourite, but mine (…..I swear I’m not just sucking up to the gin lovers), is the ‘Pear and Nettle Collins’ which is the house gin mixed with a nettle cordial and elderflower liquor, topped up with fresh lemon juice and a splash of soda then poured over burning rosemary! Lewis: Absolutely, we have 10 signature cocktails, including the ‘Pear & Nettle Collins’ I mentioned already, but there’s a brilliant selection of drinks! Another I really like is the ‘Jamariachi’, which is a tequila based drink mixed with blackberry jam, and apple juice served with tropical Redbull! TGSB: And finally, have you got any exciting events planned or exclusives to share with our readers? Lewis: We have just launched our official opening parties as this Friday (3rd Feb) and Saturday (4th Feb) and although we haven’t told the general public yet, we will be open every Tuesday and Thursday evening following that weekend. So there you have it – ten reasons to make ‘Ten Bar’ number one on your list of destination hot spots in Leeds! And with only a few short days left until their official opening, there’s not long to wait until you can be holding a Gin & Tonic or ‘Pear & Nettle Collins’ toasting their arrival. ….And if you’re like me, I know what you’re thinking…. I’ll take 10 please!! With thanks to Lewis & Ten Bar for their support on the blog article!